In theory, most people – at one time or another – have probably been deeply moved or affected by at least one aria from an opera without even knowing it. For example, if you frequent the movies, you have been moved by an opera. If you watch and enjoy some of the classic cartoons – you have been moved by an opera. If you have relaxed by sipping a coffee or tea in your local neighbourhood coffee shop or have enjoyed glass of wine in your neighbourhood bar with music playing in the background – you most likely have been moved by, inspired by or at least touched by an opera. Opera has infiltrated our lives in ways far beyond most people’s comprehension. It is ever present in pop culture and has influenced, inspired and impressed its powers upon countless musicians, playwrights, screenwriters and authors throughout its 400 some odd year history of existence. 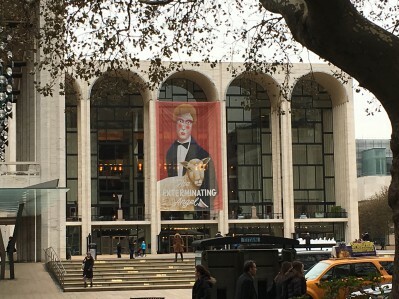 While the Metropolitan Opera itself has been in operation since 1880, the stately Metropolitan Opera House at the Lincoln Centre in New York City opened its doors in 1966 and continues to stand proudly on the Upper West Side. Its history is impressive, and the artists who have graced the stages count themselves among some of the world’s most legendary performers in the world including Maria Callas, Luciano Pavarotti, and Placido Domingo – all household names – just to name a few. 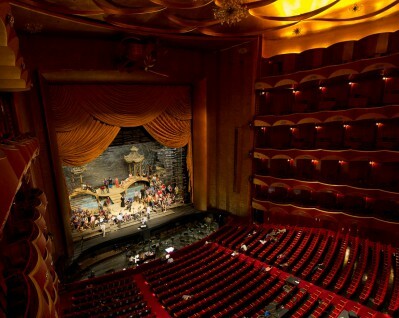 For the last 11 years, through the magic of technology, Cineplex Events has been offering Canadians the opportunity to experience performances from this very same Opera House in New York City by broadcasting spectacular productions Live in HD – right into the comfort of your own local theatre. 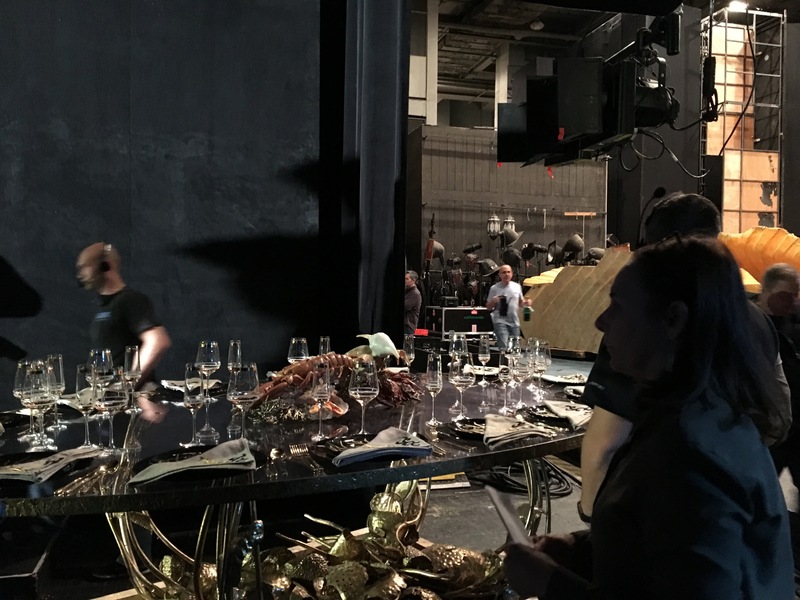 Recently, we were given the incredible opportunity of going to New York City, stepping backstage and slipping in behind-the-scenes at The Metropolitan Opera on the afternoon of the Live in HD broadcast for Thomas Adès’s groundbreaking production of The Exterminating Angel based on Luis Buñuel’s classic surreal film of the same name. Needless to say, we jumped at the opportunity. 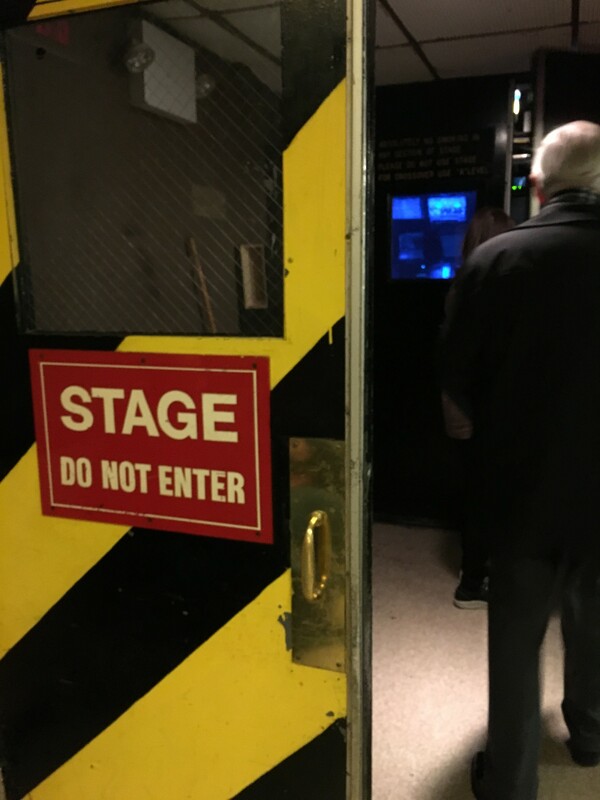 To say that standing in the wings where some of the worlds most legendary artists have gone before us or sitting in the audience beneath the red and gold towering balconies was a heart-pounding thrill is a massive understatement. On top of it all – to tour the broadcast set up and to witness the absolutely flawless execution of the Live in HD broadcast operation throughout the performance was a spectacle in itself, especially considering the sheer number of people involved in the production and the fact that most in the audience were completely unaware of the magnitude of this operation. The audience was also largely oblivious to the fact that they were being joined by hundreds of thousands of people across the globe who were all experiencing this very performance in real time. It was a truly fascinating fly-on-the-wall experience in one of the most famous opera houses in the world, and being able to see one of the most talked about and best-reviewed operas this year was a thrill. To experience opera is to give yourself a gift of culture that is as steeped in rich beauty and historical significance and it is completely accessible. There are traditional-style operas to choose from, but there are also a number of modern and contemporary productions as well such as The Exterminating Angel. And, because you can see these productions right at your local theatre, you don’t have to break the bank to travel to New York for this experience. 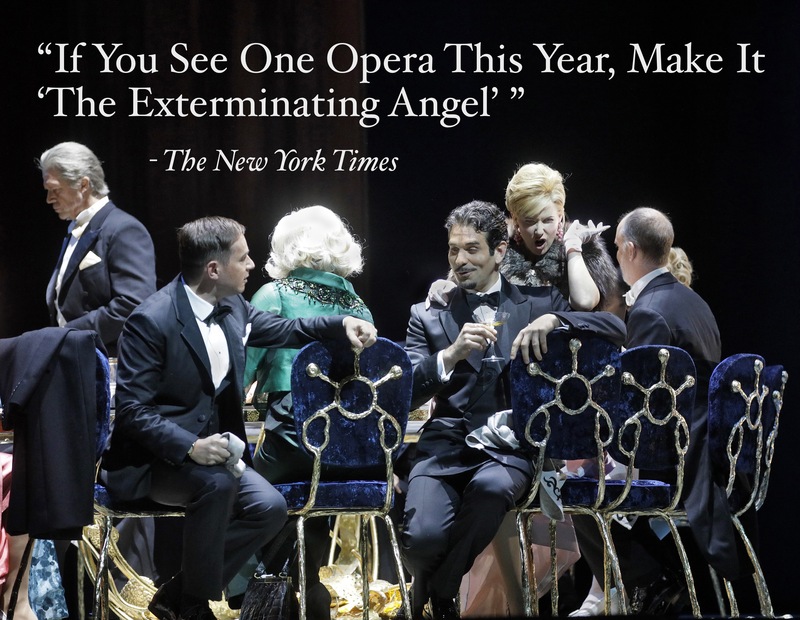 If you are interested in seeing this production, in Canada – encore performances for The Exterminating Angel are scheduled for December 9, 11 and 13 and in some markets on January 7 & 13. You can visit Cineplex.com/events/metopera for theatres and showtimes. If you are interested in learning more about the incredible history of The Metropolitan Opera House, Cineplex will be releasing a documentary across Canada on January 13th aptly named, The Opera House. Click here for more details.